Brooke is a Chartered Psychologist, with an interest in supporting patient and families at the end of life. As part of the Palliative and End of Life Care Group at the University of Cambridge, she works as part of a team that aims to better understand what is needed to provide excellent care for patients at the end of life, and how existing healthcare services can better meet patient needs. In addition to her post at Cambridge, Brooke is a Lecturer in Psychology the University of Chester. Here, she is an active member of the university’s Psycho-oncology Research Group, and Contextual Behavioural Science Lab. Brooke’s PhD research looked at unmet psychosocial needs in adults with a diagnosis of haematological cancer and how needs impact upon adjustment to a new diagnosis. Her current research seeks to better understand psychological adjustment in those diagnosed with a life-limiting condition, and the role of primary care in providing care and support to patients and families. Current research projects include: the CAPE study and the Bereavement Support Study. 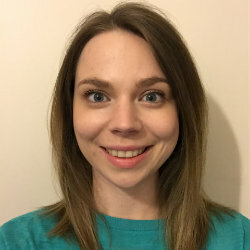 Brooke is also a member of the NCRI Psychosocial and Survivorship Clinical Studies Group and of the British Psychosocial Oncology Society Executive Committee. Brooke is a Lecturer in Psychology at the University of Chester. Here Brooke contributes to both undergraduate and postgraduate teaching in the areas of research methods and psychopathology, as well as supervising postgraduate dissertations. Swash, B, Hulbert-Williams, N & Bramwell, R. Understanding need and distress in haematological cancer across treatment modalities: analysing unmet needs to inform development of supportive care services. Psycho-oncology (under review). Swash, B, Hulbert-Williams, N & Bramwell, R. The moderating role of psychological flexibility in the relationship between unmet need and psychological wellbeing in haematological cancer survivors. Journal of Contextual Behavioural Science (in press). Ozakinci G, Swash B, Humphris G, Rogers S & Hulbert-Williams NJ. Fear of cancer recurrence in oral and oropharangeal cancer patients: A mixed methods investigation of the clinical encounter. European Journal of Cancer Care (in revision). Hulbert-Williams, N.J., Pilkington, M., Swash, B., Gillanders, D., Lambert, S., MacDonald, F., Patterson, P. & Storey, L. (2016). Psychological transition after primary cancer treatment: component mapping using Acceptance and Commitment Therapy for effective intervention development. Psycho-Oncology, 25 (S3), 71. Swash, B, Hulbert-Williams, N & Bramwell, R (2016). “Haematological cancers… They’re a funny bunch”: A qualitative study of unmet need in haematological cancer. Journal of Health Psychology. Online First. Swash, B, Moran, E, Boase, S & Barclay, S (2016) The CAPE study: a qualitative exploration of bereaved carer, GP and district nurse experiences of end of life care in the community. Palliative Medicine 30(4): 19. Barclay, S, Swash, B, Boase, S & Moran, E (2016) The Community Care Pathways at End of Life (CAPE) Study: End of Life Care Provision in the Primary Care Setting. Palliative Medicine 30(4): 34. Barclay, S, Moran, E, Boase, S & Swash, B (2016) Challenges and opportunities in undertaking Primary Palliative Care research: the experience of the CAPE study. Palliative Medicine 30(4): 46. Swash, B, Hulbert-Williams, NJ & Bramwell, R (2014) Unmet psychosocial need in haematological cancer: A systematic review. Supportive Care in Cancer 22 (4): 1131-1141.